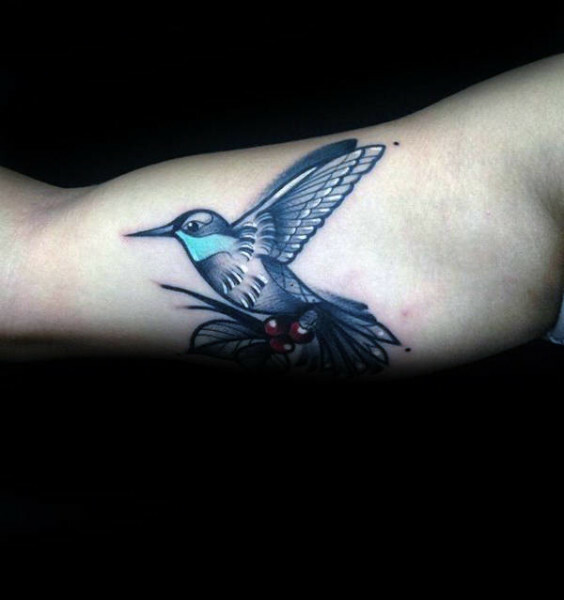 Many people use various species of birds as their tattoo’s template. 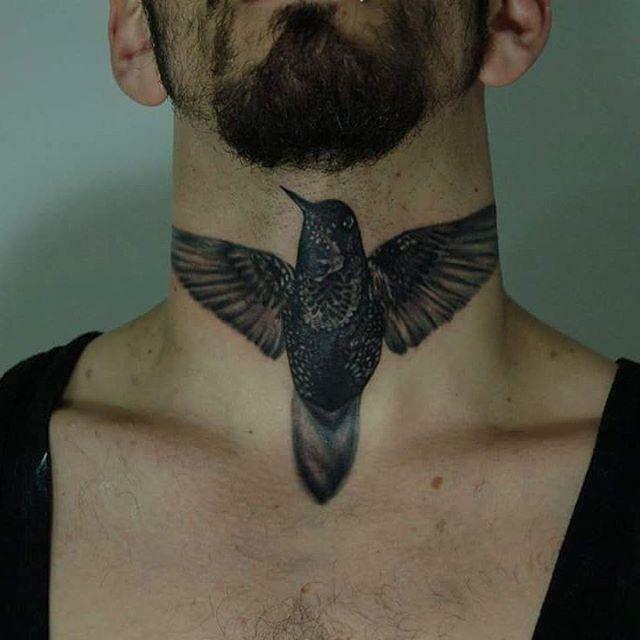 Some of the most popular ones include designs for eagles, hawks, and crows. 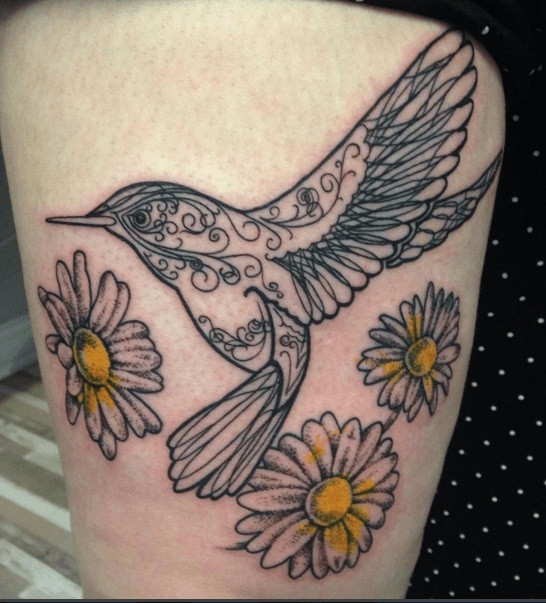 With such diverse species available, it is really easy getting creative when it comes to bird tattoos. 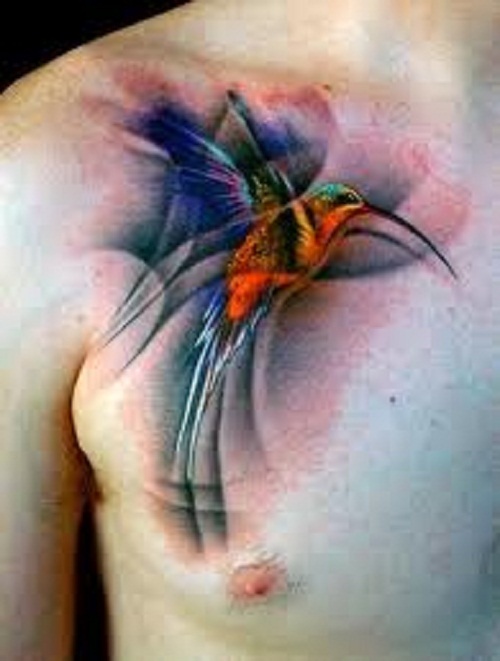 But for those that want to stand out from others, a hummingbird tattoo should sound like a pretty solid idea. 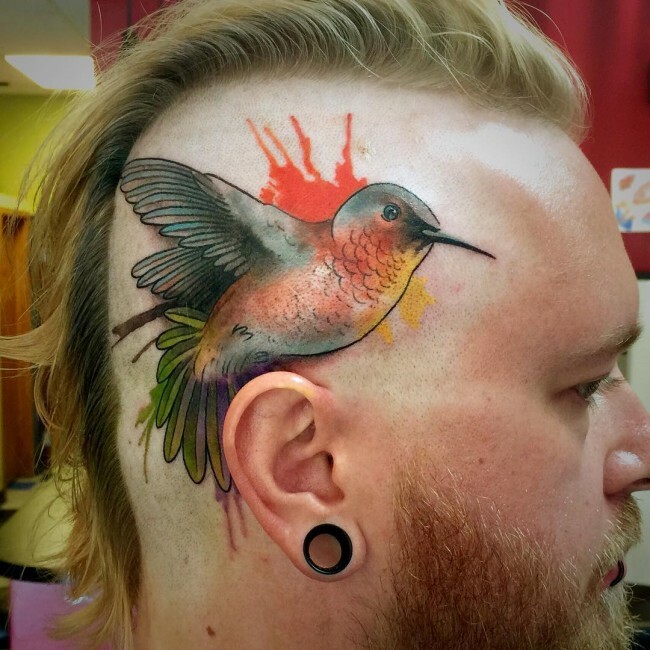 Hummingbirds are a unique species that are native to the Americas. They are some of the smallest birds with most species clocking in at around 7.5-13 cm in length only. Among all species of birds, they are the only bird that’s able to hover at will. This is because their wings typically flap up to 80 times per second and this gives off a high-frequency sound audible to humans, hence the origin of the hum in its name. 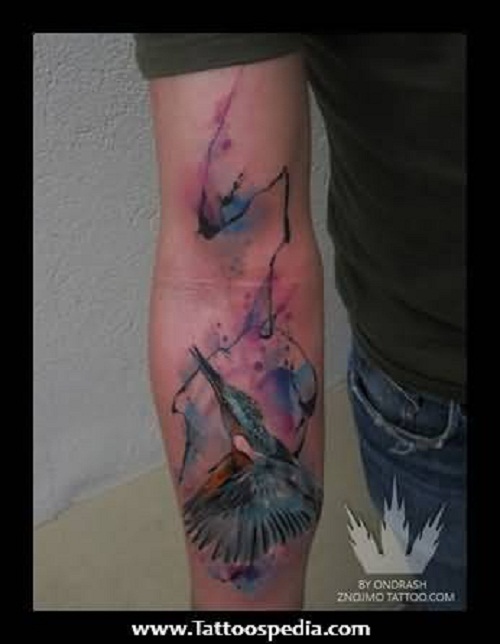 Birds are very prominent in Native American and South American legends, literature, folklore, and mythology. 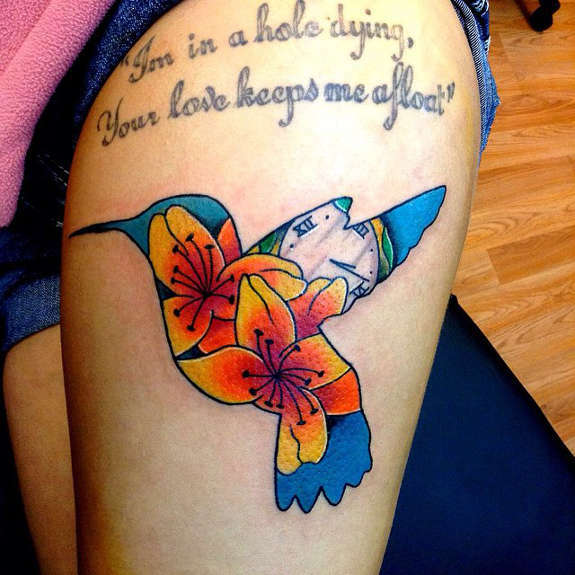 The Mayans, for one, believed that the first ever wedding on Earth was between two hummingbirds. 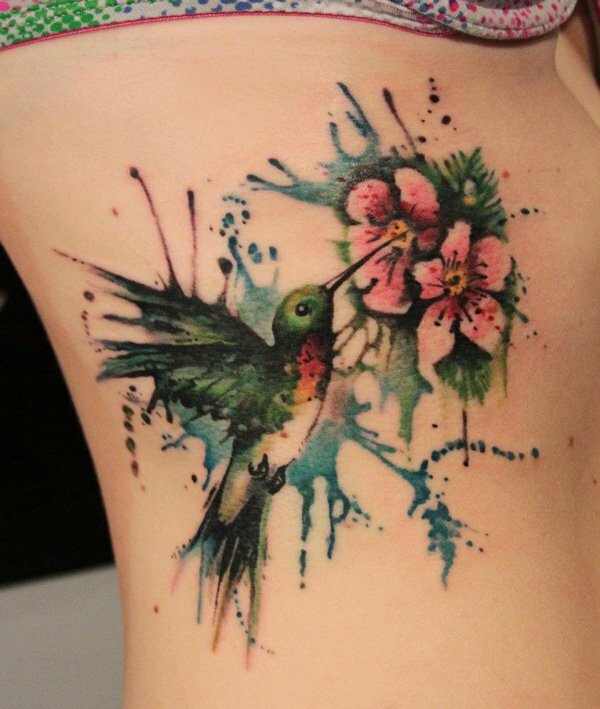 Because of that, many people consider hummingbirds as a symbol of love. Additionally, they believe that the Great God created such birds from leftover parts from all the other birds. 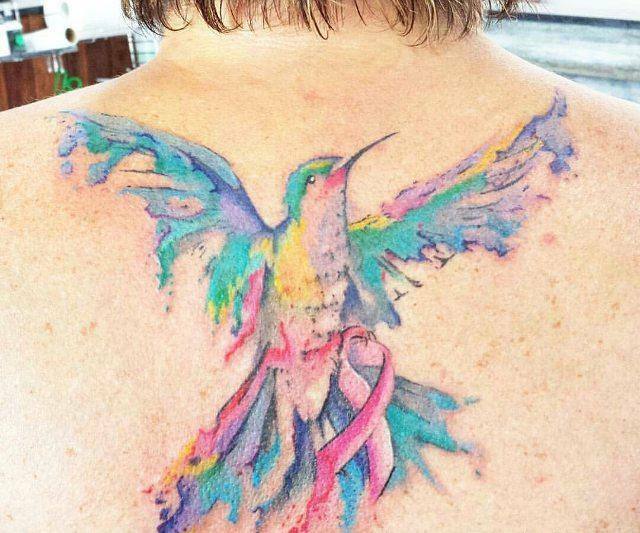 With this, they think that it’s the reason why hummingbirds have vibrant colors. On the other hand, hummingbirds play an even bigger role for the Aztecs. 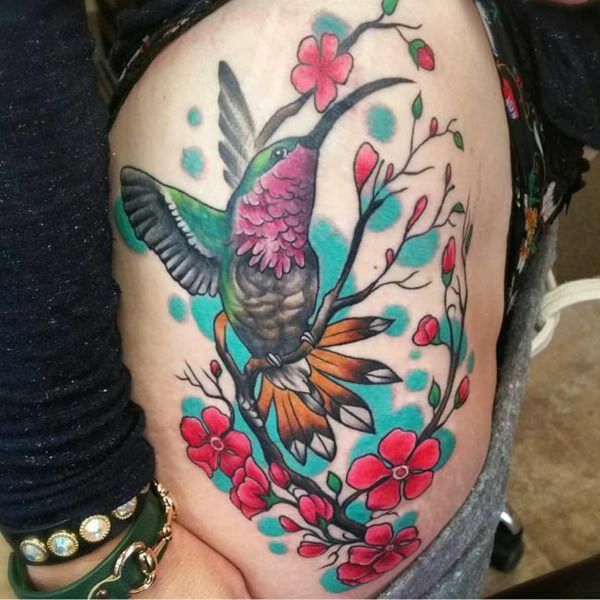 They believe that hummingbirds are a symbol of rebirth. 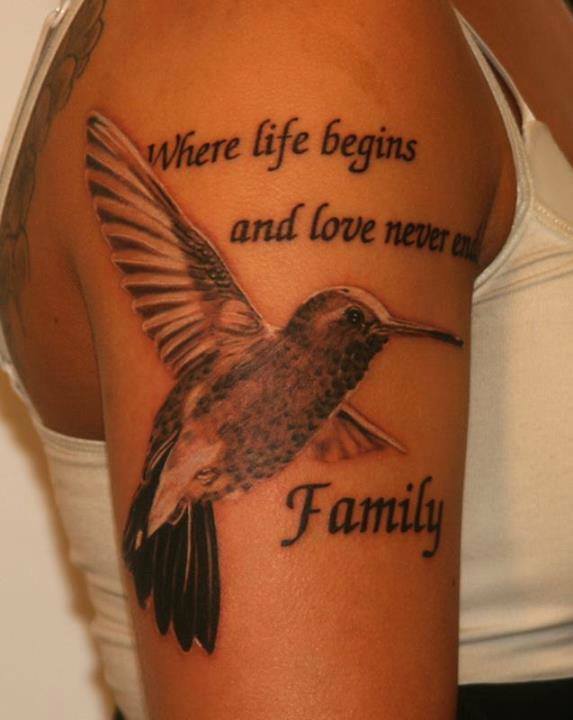 For them, those people who died in battle are reincarnated as one of the tiny birds. 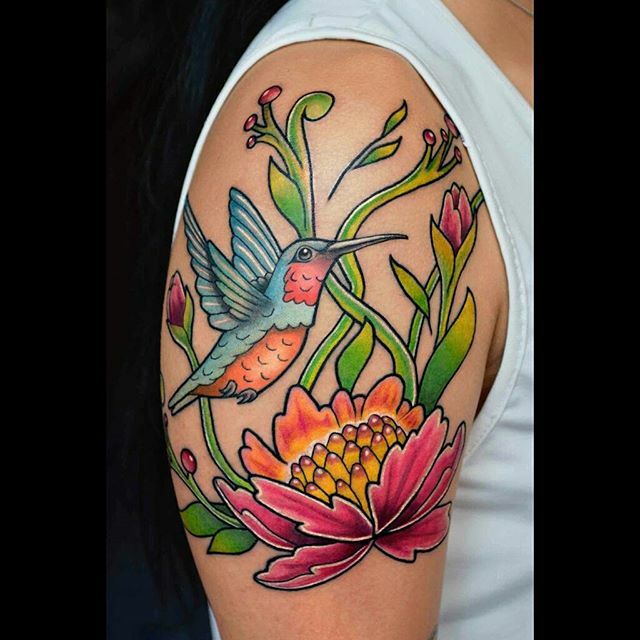 Moreover, Aztecs also believe in a god named Huitzilopotchli which literally translates to “the hummingbird on the left.” He is the god of the sun and war who sports a bracelet made of hummingbird feathers around his left wrist. 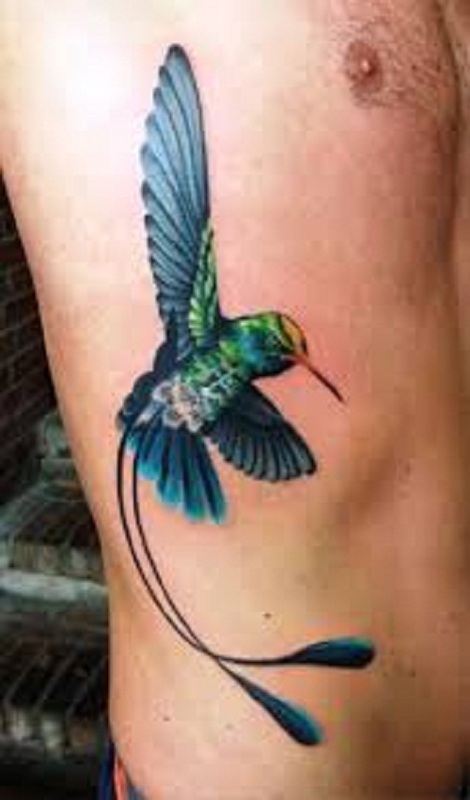 The Taino people also saw the hummingbird as a symbol of rebirth. 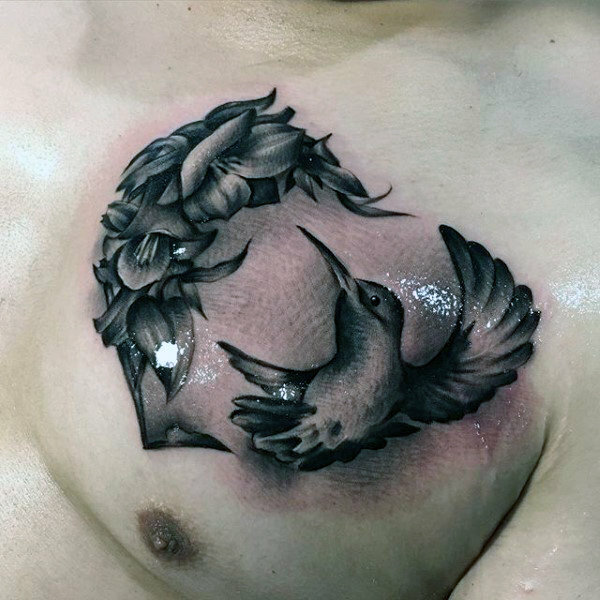 However, for them, the bird is also a representation of the one that spreads life across the world. 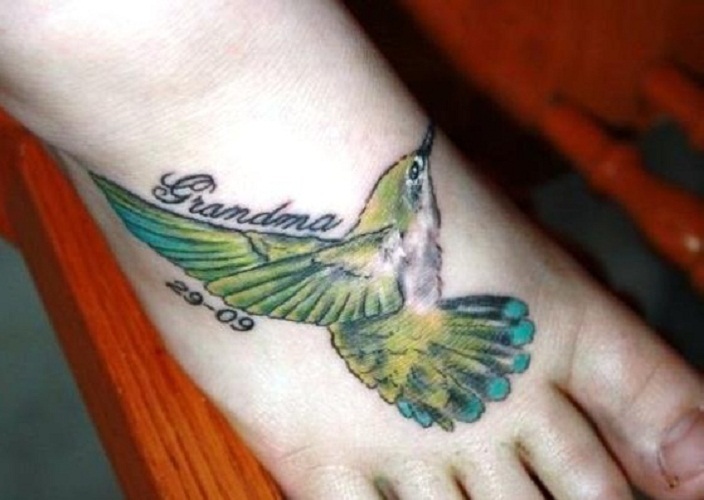 Aside from this, they consider hummingbirds as a symbol of peace and protection. Even so, historians are yet to uncover why the Taino adopted such a belief. 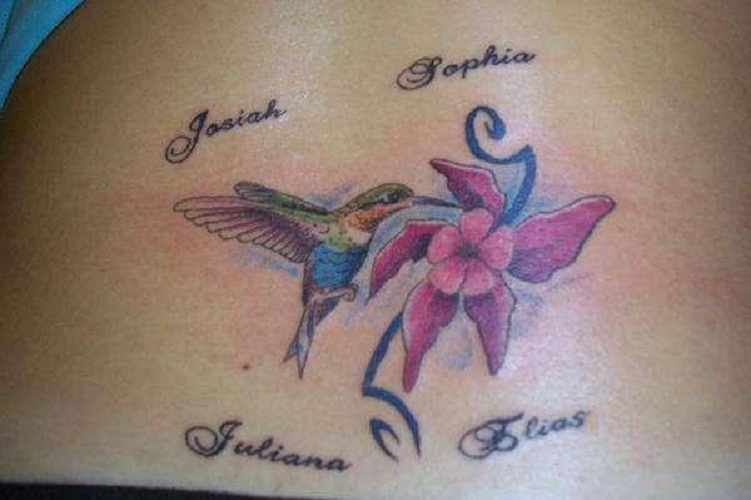 Oddly enough, the hummingbird was never used as a central symbol for the Taino warriors. 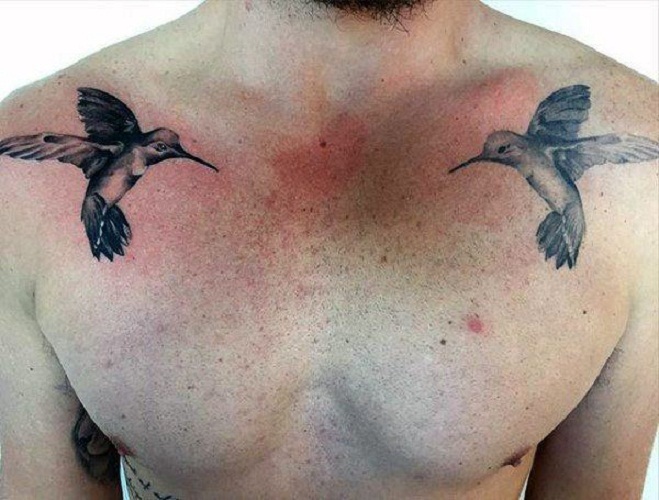 Bird tattoos are usually associated with a person’s freedom and free will. 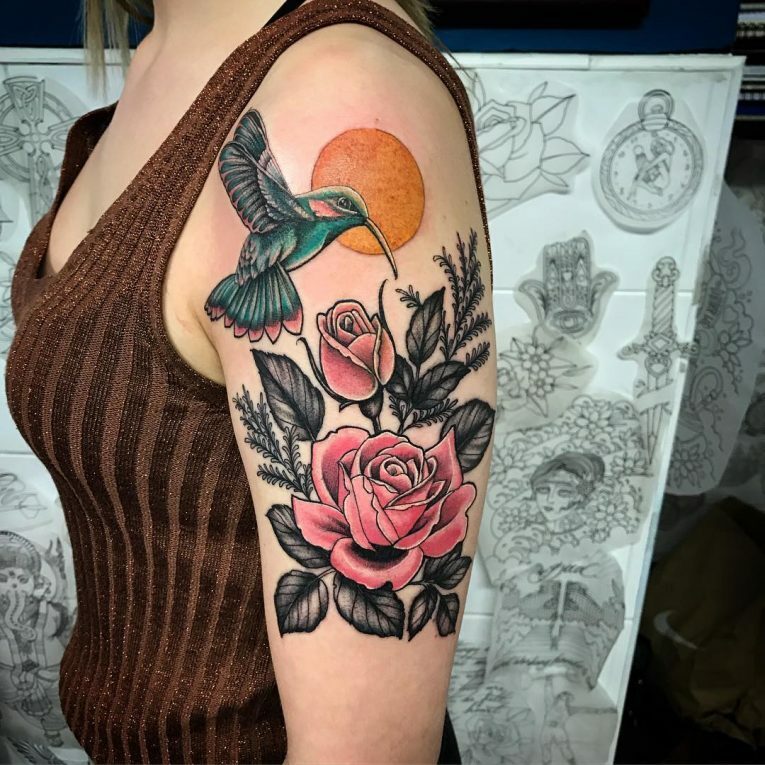 This is especially the case when it comes to the eagle tattoo designs which most people associate with patriotism in the United States. 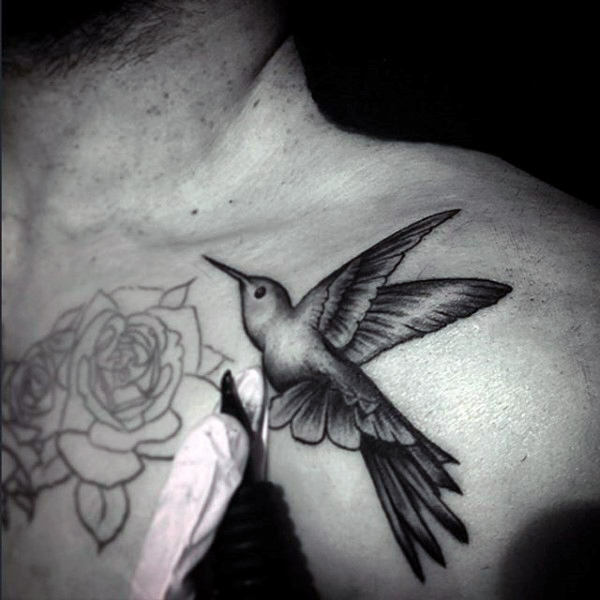 However, since hummingbirds are a smaller and more fragile species, many people use them to symbolize other warmer emotions too. More often than not, they are used as a symbol of love. 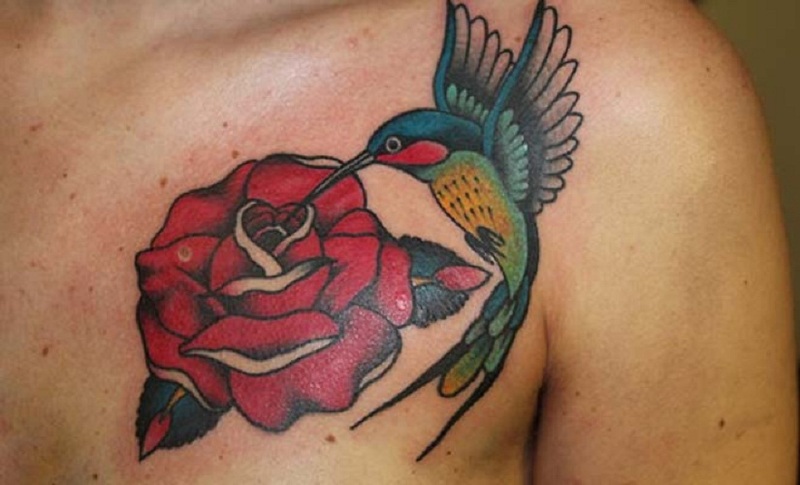 Yes, heart tattoos aren’t the only body art designs that can represent love but a hummingbird tattoo too. 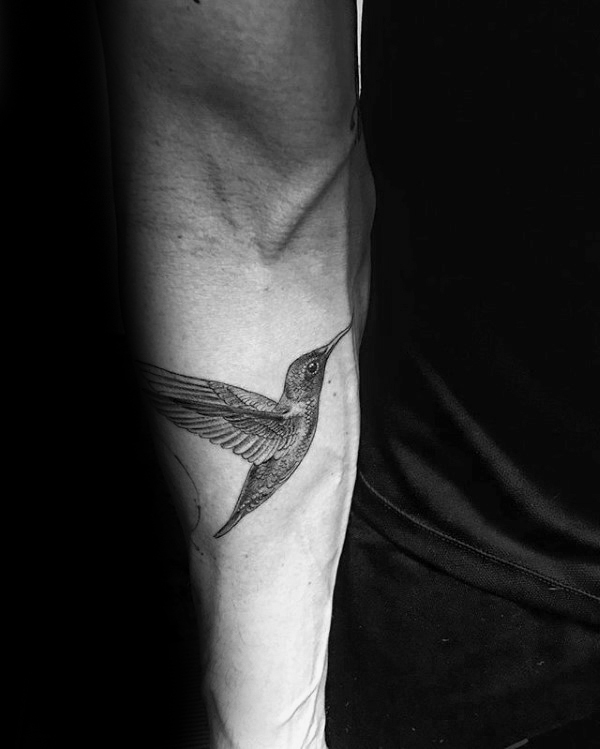 This is because when a hummingbird flaps its wings, it makes the symbol for infinity thus allowing it to represent everlasting love. 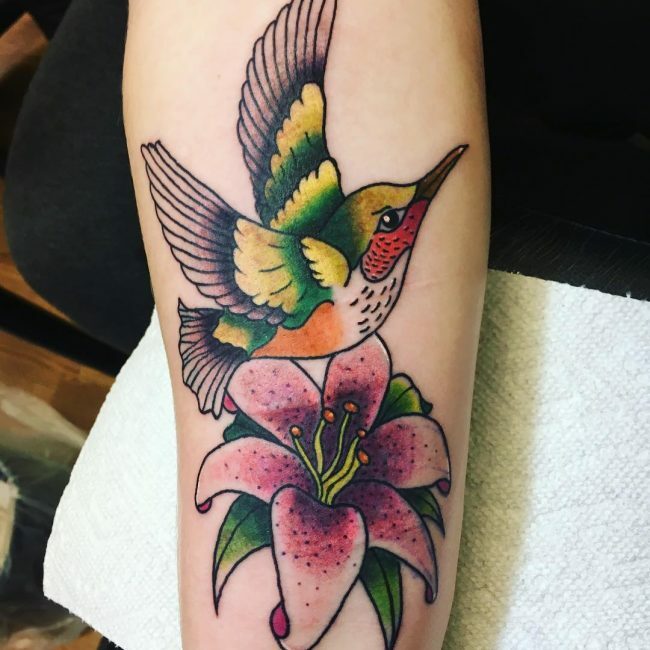 Beyond this, the bird is also used as a symbol for persistence and the unwavering devotion into pursuing what one needs and wants as hummingbirds are always on the lookout for precious nectar. 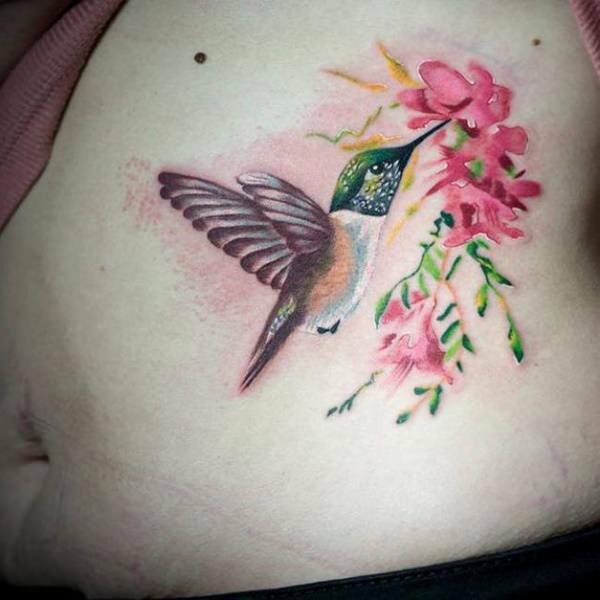 A hummingbird tattoo is often inked alongside flowers or nectar. 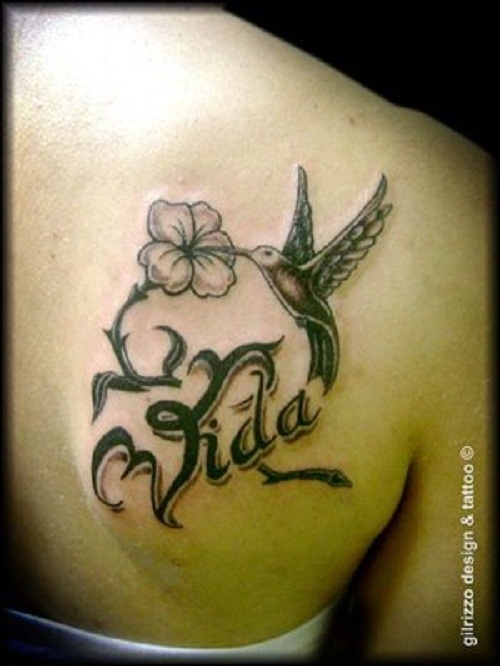 This represents the vital give-and-take relationship between two individuals. 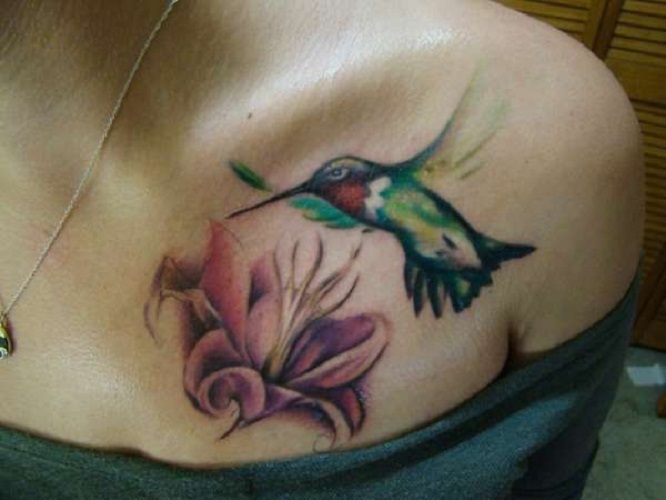 This is due to the fact that the hummingbird could not survive without the food it gets from flowers. 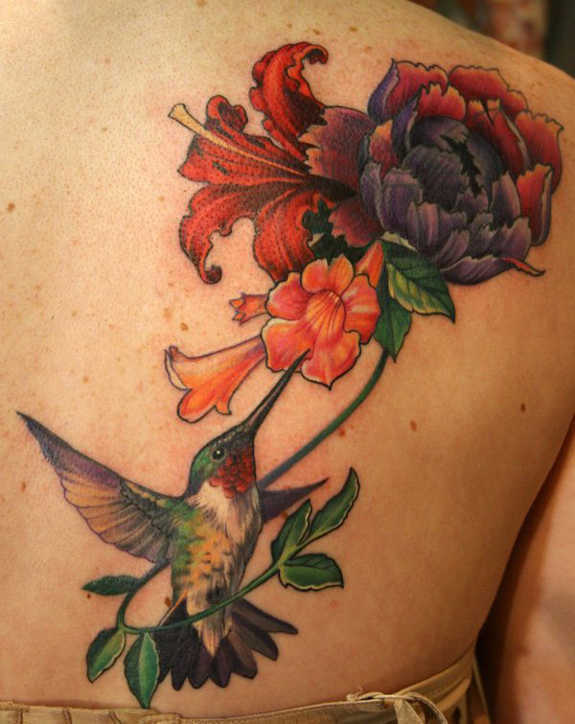 Flowers cannot survive without the hummingbird too as it plays an important role in pollination. 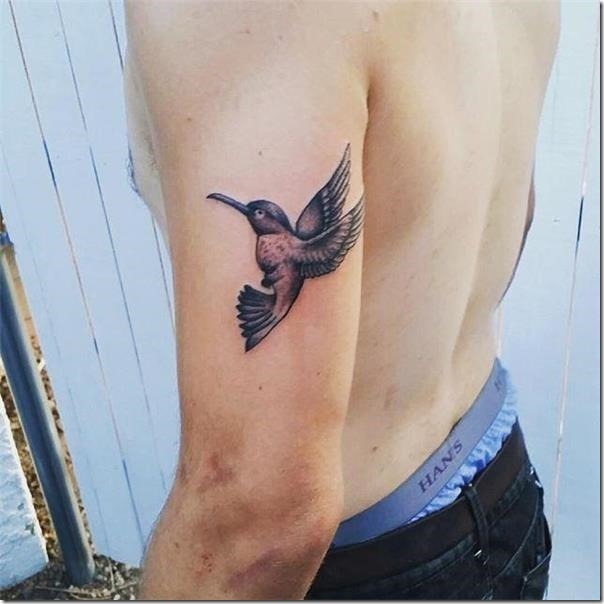 Perhaps the best way to justify a hummingbird tattoo is with how it is a representation of one’s struggles and successes in life. 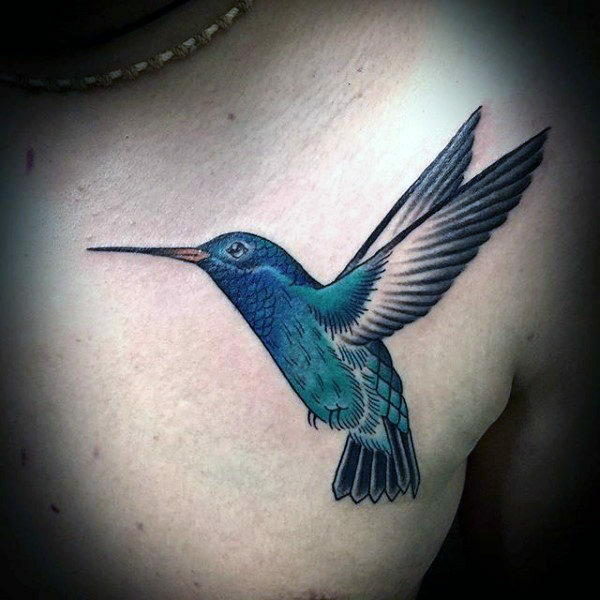 Hummingbirds are small creatures with a very fast metabolism. They have to eat up to fifty times a day to keep up with the constant burning of its energy. 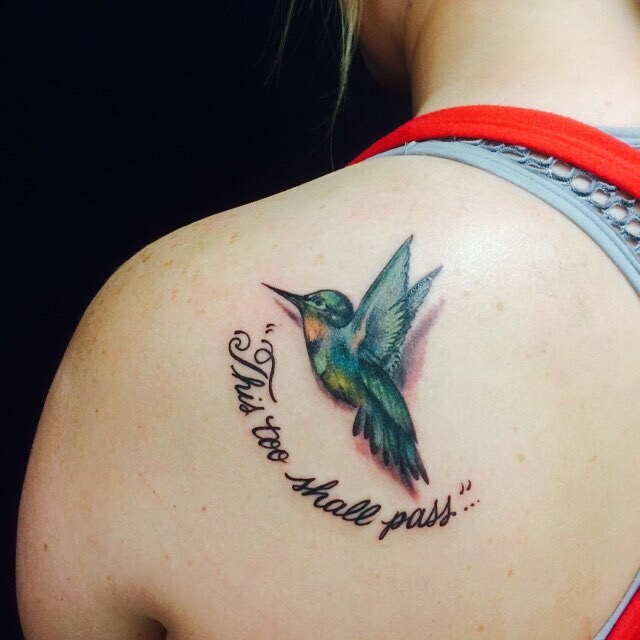 For hummingbirds, daily life is an uphill battle but they manage to push through nonetheless. 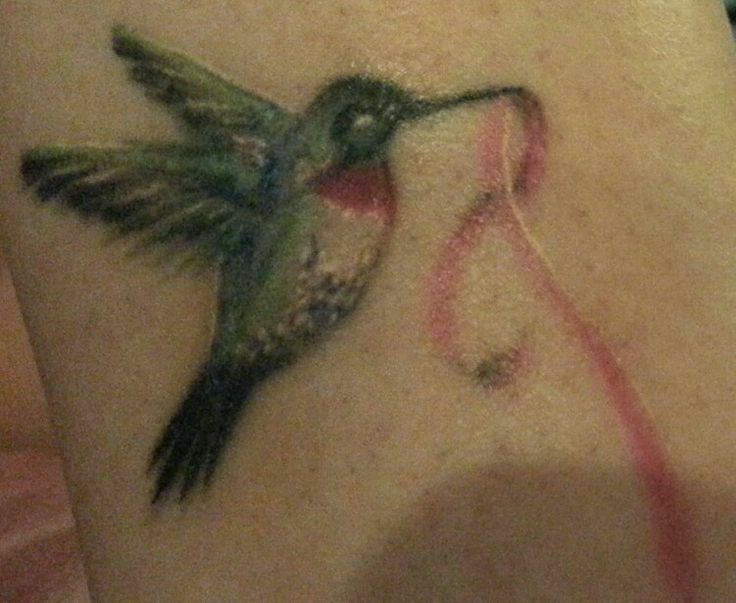 Hummingbirds work hard to survive and they can represent life’s difficulties. 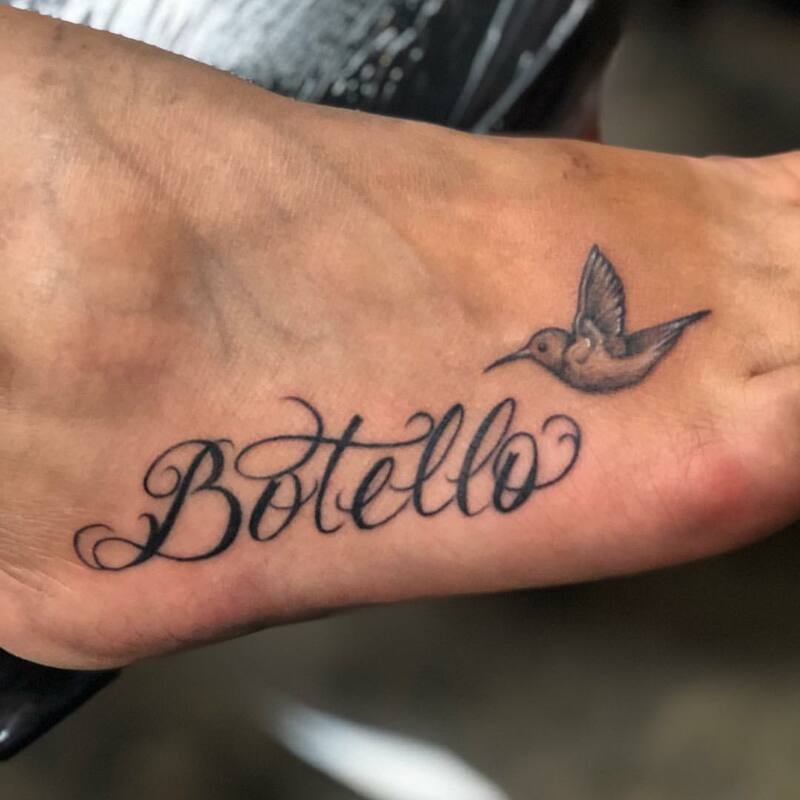 These birds could be a lot meaningful for a person who has been through a lot of downs in their life. 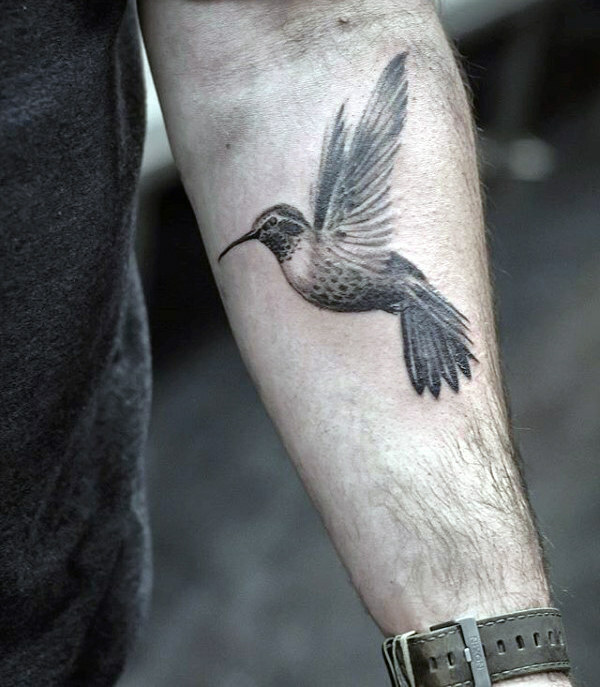 Many others use the bird as a symbol of strength as it is able to rise above all the challenges it faces. 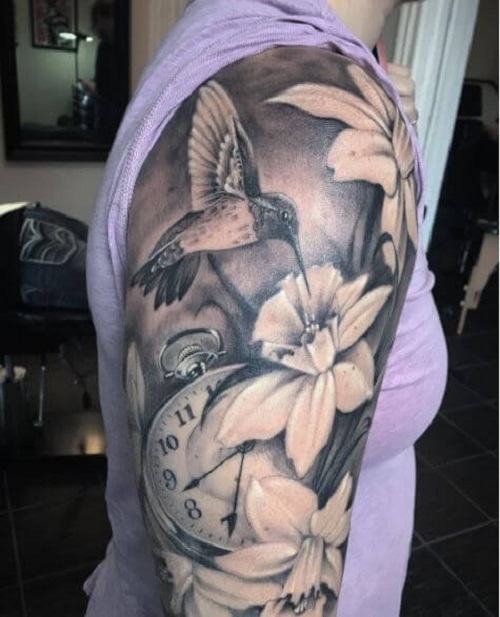 Tattoos allow us to tell our stories with a simple glance. 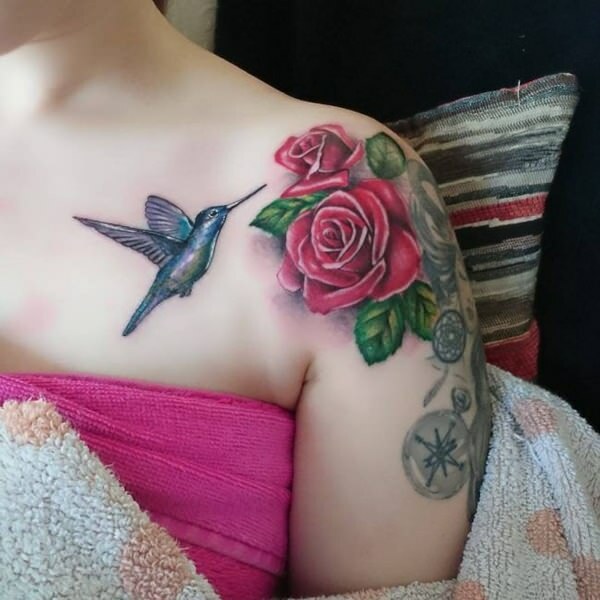 If that is the case, then hummingbird tattoos are able to tell story after story. 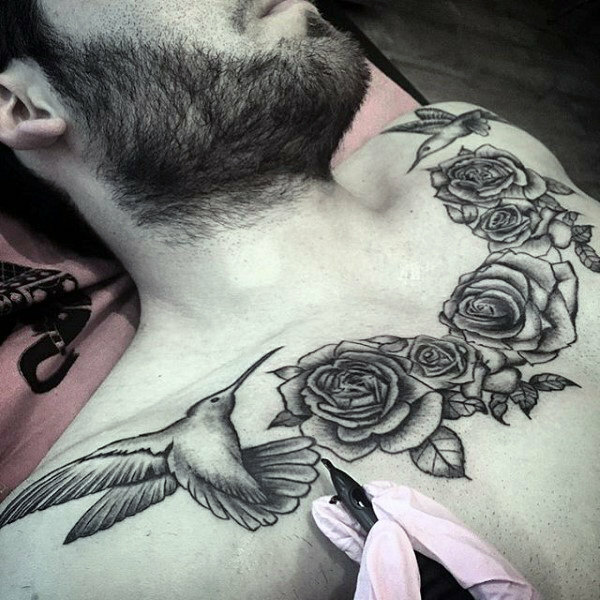 As it is able to symbolize love, peace, rebirth, hardship, and strength, the hummingbird design is something that a lot of people can relate to. 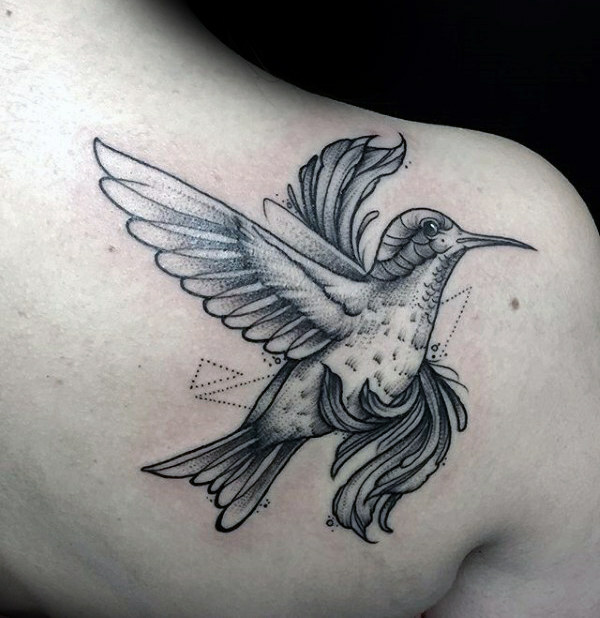 When lost and confused about which design to pick, tattoo enthusiasts should definitely consider the small but strong, gentle but versatile hummingbird. 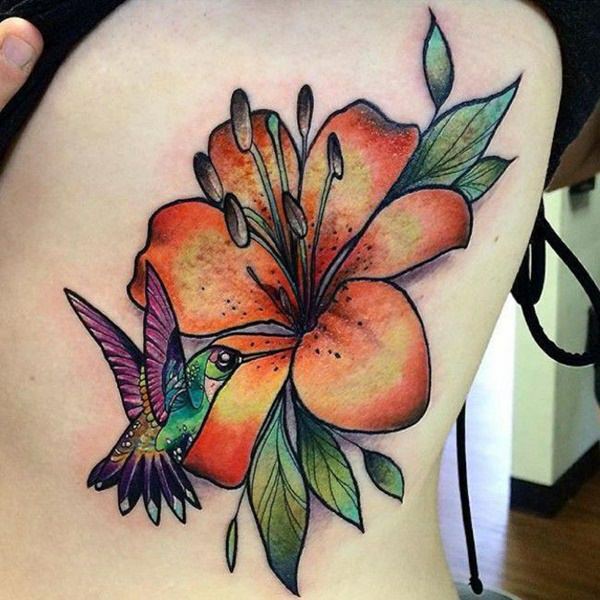 Here are some hummingbird tattoo ideas that you’ll definitely love. 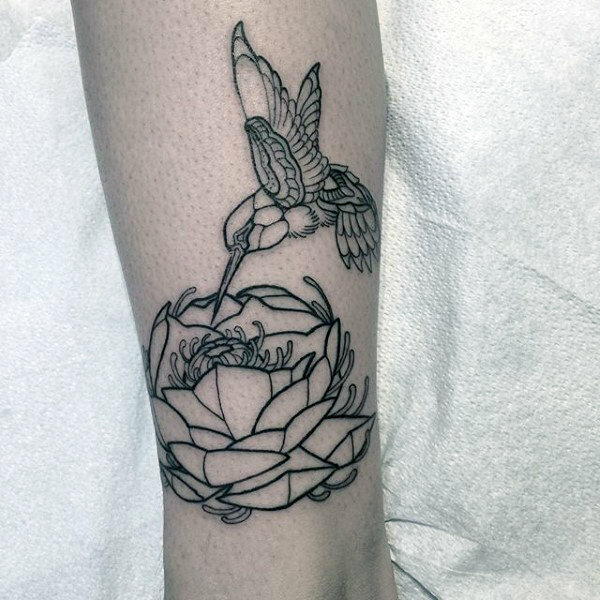 Floral patterns aren’t just a symbol of femininity and they aren’t just used merely because they are aesthetically pleasing. 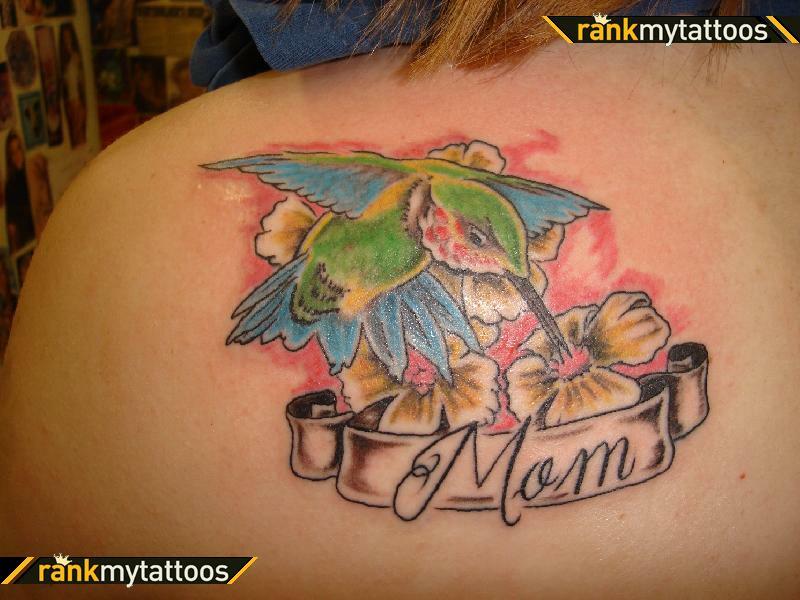 What many people don’t know is that flowers bear different meanings that can complement a hummingbird tattoo as well. 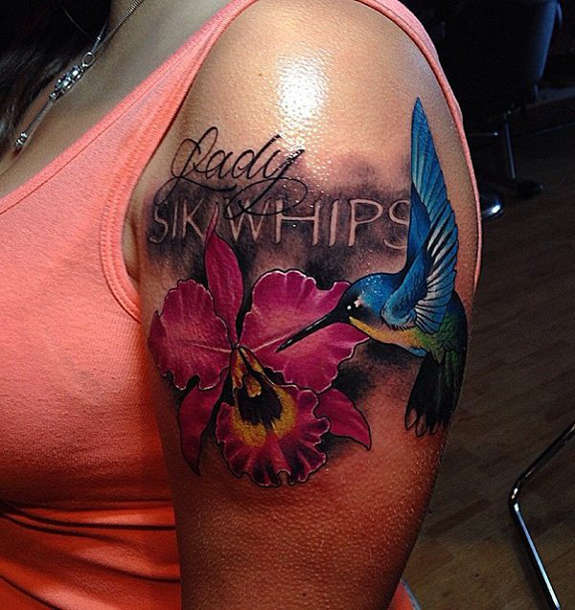 Calligraphy won’t just add aesthetics to hummingbird tattoo designs. 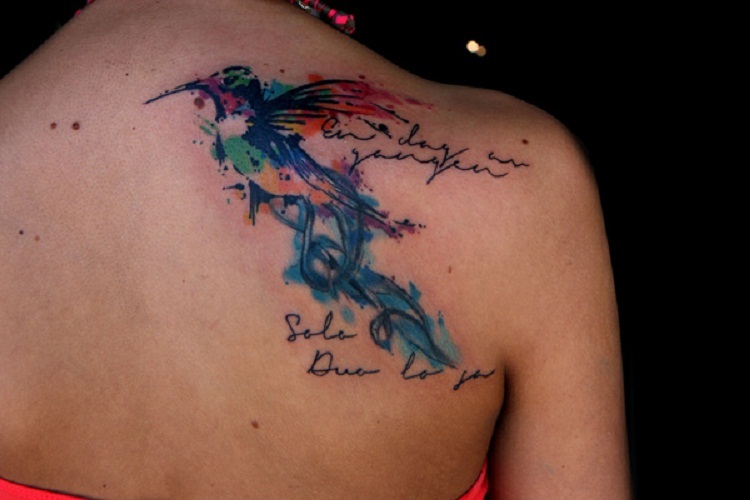 Rather, it can make any tattoo more personalized, meaningful, and inspiring. 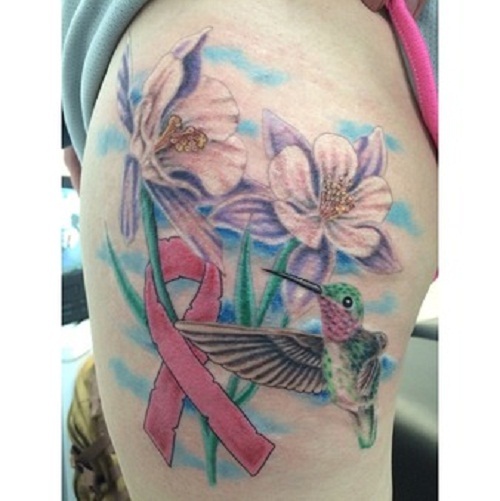 Inspire and empower women who are battling breast cancer by adding a breast cancer ribbon to your hummingbird tattoo. 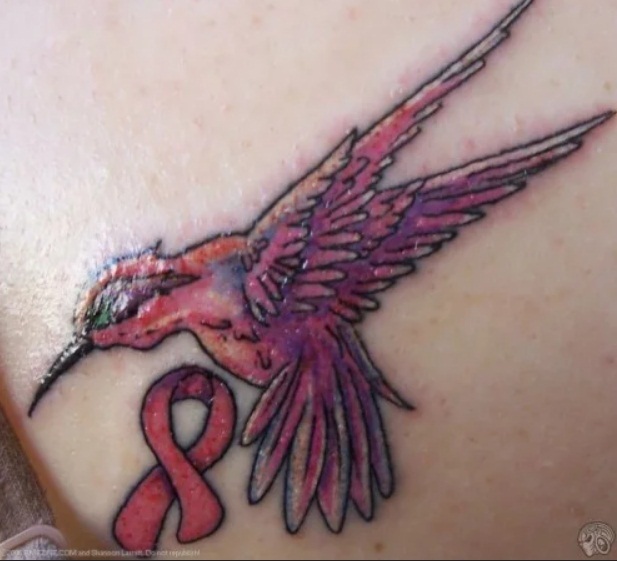 It’s also a good design for cancer survivors. 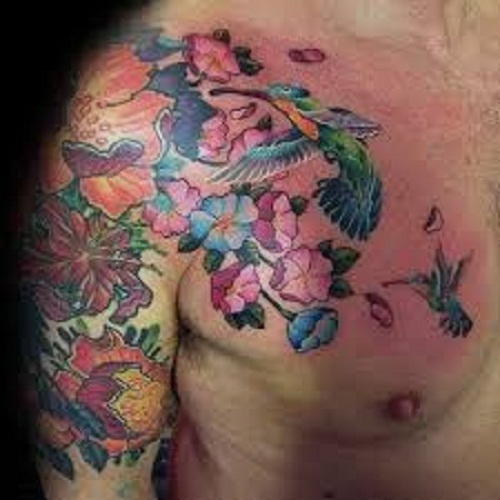 Floral patterns aren’t;t just for women. 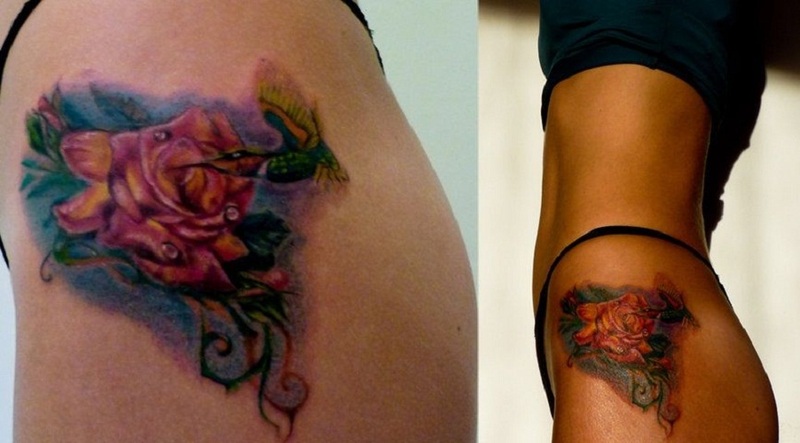 This is because flowers also have other meanings that just symbolizing femininity. Who says plain is boring? 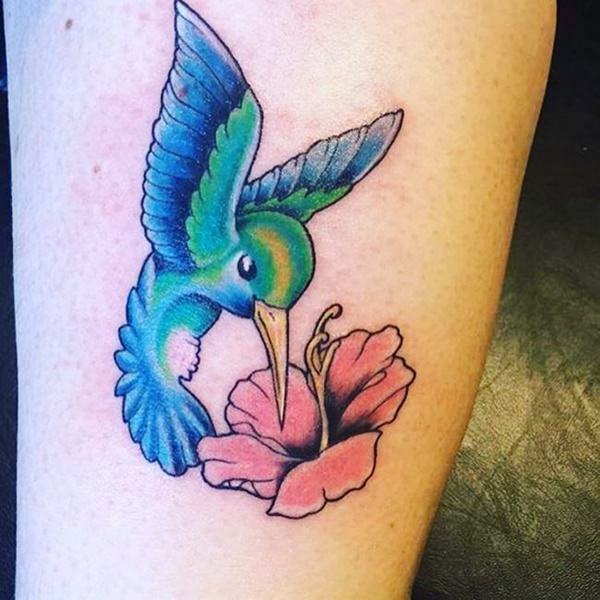 While there are countless symbols that will complement your hummingbird tattoo, opting for a plain image of it can still make you stand out and define who you are. 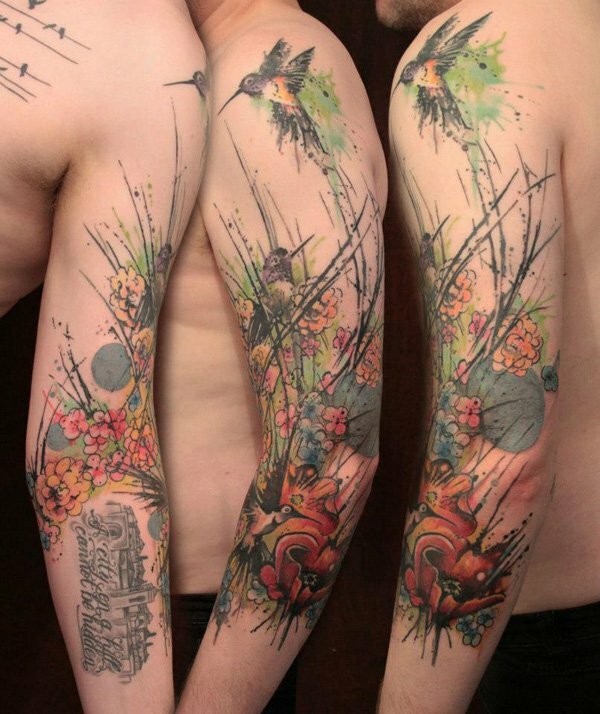 These designs are just the tip of the iceberg, though. 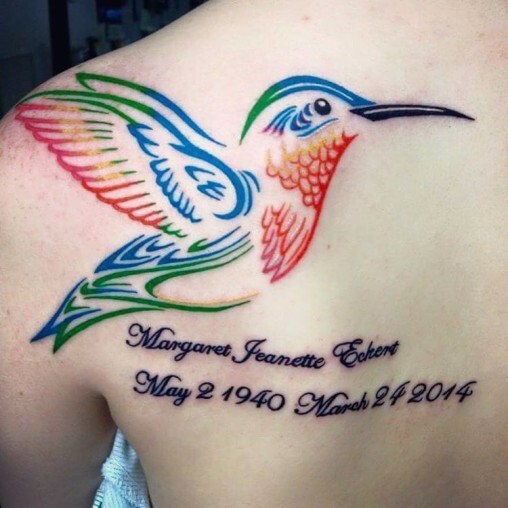 There are still countless symbols that would complement any hummingbird tattoo. 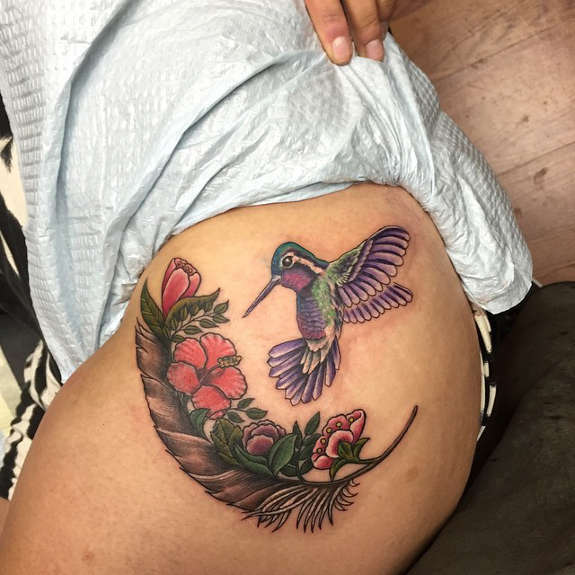 If you know other designs that you think would also look best with hummingbird tattoos, tell us in the comment section below. 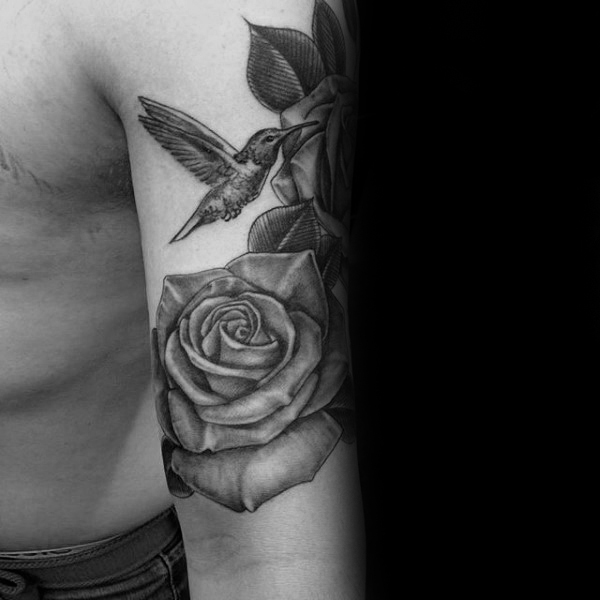 Which one of these designs did you like?